Change the default options for all date pickers. Use the option() method to change options for individual instances. Datepicker provides support for localizing its content to cater for different languages and date formats. 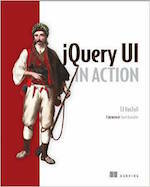 Each localization is contained within its own file with the language code appended to the name, e.g., jquery.ui.datepicker-fr.js for French. The desired localization file should be included after the main datepicker code. Each localization file adds its options to the set of available localizations and automatically applies them as defaults for all instances. Localization files can be found at https://github.com/jquery/jquery-ui/tree/master/ui/i18n. ui-datepicker: The outer container of the datepicker. If the datepicker is inline, this element will additionally have a ui-datepicker-inline class. If the isRTL option is set, this element will additionally have a class of ui-datepicker-rtl. ui-datepicker-header: The container for the datepicker&apos;s header. ui-datepicker-prev: The control used to select previous months. ui-datepicker-next: The control used to select subsequent months. ui-datepicker-title: The container for the datepicker&apos;s title containing the month and year. ui-datepicker-month: The textual display of the month or a <select> element if the changeMonth option is set. ui-datepicker-year: The textual display of the year or a <select> element if the changeYear option is set. ui-datepicker-calendar: The table that contains the calendar itself. ui-datepicker-week-end: Cells containing weekend days. ui-datepicker-other-month: Cells containing days that occur in a month other than the currently selected month. ui-datepicker-unselectable: Cells containing days that are not selectable by the user. ui-datepicker-current-day: The cell containing the selected day. ui-datepicker-today: The cell containing today&apos;s date. ui-datepicker-buttonpane: The buttonpane that is used when the showButtonPanel option is set. ui-datepicker-current: The button used to select today&apos;s date. ui-datepicker-multi: The outermost container of a multiple month datepicker. This element can additionally have a ui-datepicker-multi-2, ui-datepicker-multi-3, or ui-datepicker-multi-4 class name depending on the number of months to display. ui-datepicker-group: Individual pickers within the group. This element will additionally have a ui-datepicker-group-first, ui-datepicker-group-middle, or ui-datepicker-group-last class name depending on its position within the group. Creating a datepicker on an <input type="date"> is not supported due to a UI conflict with the native picker. The function is called for each day in the datepicker before it is displayed. A URL of an image to use to display the datepicker when the showOn option is set to "button" or "both". If set, the buttonText option becomes the alt value and is not directly displayed. Whether the button image should be rendered by itself instead of inside a button element. This option is only relevant if the buttonImage option has also been set. Set the date to highlight on first opening if the field is blank. Specify either an actual date via a Date object or as a string in the current dateFormat, or a number of days from today (e.g. +7) or a string of values and periods (&apos;y&apos; for years, &apos;m&apos; for months, &apos;w&apos; for weeks, &apos;d&apos; for days, e.g. &apos;+1m +7d&apos;), or null for today. Whether the currentText, prevText and nextText options should be parsed as dates by the formatDate function, allowing them to display the target month names for example. The cutoff year for determining the century for a date (used in conjunction with dateFormat &apos;y&apos;). Any dates entered with a year value less than or equal to the cutoff year are considered to be in the current century, while those greater than it are deemed to be in the previous century. Whether to display a button pane underneath the calendar. The button pane contains two buttons, a Today button that links to the current day, and a Done button that closes the datepicker. The buttons&apos; text can be customized using the currentText and closeText options respectively. If using one of the jQuery UI effects for the showAnim option, you can provide additional properties for that animation using this option. The new options for the date picker. Gets an object containing key/value pairs representing the current datepicker options hash. Sets the value of the datepicker option associated with the specified optionName. Sets one or more options for the datepicker. 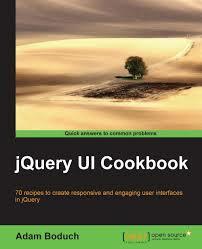 Returns a jQuery object containing the datepicker.